This Circle is based around Reiki Drum Healing but is open to anyone- no experience of either Reiki or Drumming is needed. We begin with some powerful group drumming followed by giving, receiving and sharing drum healing. The evening ends with a beautiful Reiki Drum journey- then a cuppa! Everyone welcome and we have a small number of spare drums to lend out. 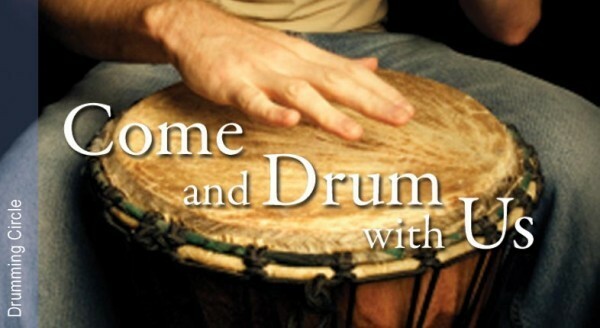 ​Contact Liz for more information, to book or to reserve a drum for the evening- 07931 534474..
All cultures around the world have embraced the drum at some point in their history for healing, meditation, sacred ritual and for connecting with the Divine. Frame drums are some of the oldest musical instruments, and there is evidence of ritual shamanic use as early as the Paleolithic Era. A revered and sacred tool of priestesses and holy men, indigenous shamans, nomadic and tribal communities, the use of the drum today for its ceremonial, spiritual, healing and therapeutic benefits has not changed a great deal since the time of the earliest civilisations. The drum rhythm reminds the body of its optimal vibration. There have been many scientific research studies conducted to discover the effect sound and drumming have on the human body and psyche. Research has indicated that even drumming for a short period of time can induce an alpha state, brainwaves associated with wellbeing and euphoria. Drumming helps people express and address emotional issues, aiding in the removal of blockages and producing emotional release. Studies have linked drumming with positive effects on Alzheimer’s and Dementia patients, emotionally disturbed teens, recovery addicts and trauma patients. Research demonstrates that drumming accesses the whole brain, synchronizing the two cerebral hemispheres, engaging both logical left brain and intuitive right brain. It has been shown to generate dynamic neuronal connections in the brain, even when there has been significant damage such as after stroke or with Parkinson's Disease. Other studies have noted that IQ scores have improved with control groups after playing drums. On a physical level drumming in studies has shown to alter endocrine and immunologic response in a person. Scientific research demonstrates that cortisol levels, blood pressure readings, heart rate and blood flow are all positively affected, natural killer cells are more active and drumming aids the production of endorphins and endogenous opiates assisting in pain control. On a spiritual level, the vibrations of the drumbeat encourage mental, emotional and spiritual energy bodies to realign and chakras to become balanced, resulting in emotional and mental harmony. Our consciousness shifts and we are able to reach our true spiritual selves.